The power of mystery shopping can benefit your business in many ways, especially if you have more than one location. 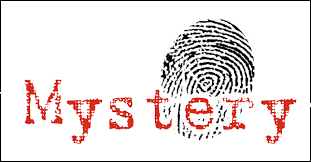 But it’s important to understand not all mystery shopping programs are the same. What makes some programs more successful than others? And with so many companies claiming to offer professional mystery shopping programs, how do you know which one to choose? In this article we’ll take a look at the power of differentiation: not only how our mystery shopping programs is more effective, but also how our system uses it to manage and individually develop your locations. The majority of companies running more than one location follow a systemized business model. Similar to franchises, they set up a structure of protocols and they distribute these rules to the managers of each location. While this uniform system may be a great foundation for basic operations, it falls short on flexibility. Each location should be monitored and graded on its own merits. Since every location has different customers and different employees, the system you put in place has to be flexible enough to take into account the differences. Recognizing the details in the differences is the most effective way to take advantage of mystery shopping. A well designed mystery shopping campaign will provide us with valuable data, and it’s this data we use to transform your operation. Having more than one location becomes an advantage when analyzing the results of a mystery shopping campaign. When you have varying results within a business that has identical operations, you are left with a great starting point to make improvements. Why is location #2 greatly out performing all the others? Mystery shopping helps you answer this question, but it also provides solutions for #2 so it can improve even further. With a well-executed mystery shopping system, weaker locations improve dramatically and stronger locations continue to improve. It’s the system which will expose the weaknesses and strengths of each individual site, allowing us to use one against the other for the benefit of all. A major factor on whether or not mystery shopping will work for your business is choosing the best provider. At Reality Based Group, we consider ourselves pioneers of the mystery shopping industry. As a matter of fact, we are founding members of the Mystery Shopping Providers Association, which takes our practice globally. The strategies we provide our clients are developed from a foundation of more than two decades of experience. The accumulated data and lessons we have learned in this industry will be used to your advantage. Contact RBG today so we can get started on improving each one of your locations.